Energy and its uses are an integral and essential part of our lives. Energy has always been associated with engineering through infrastructure developments, procurement of primary energy sources and the generation of electricity. Increasingly in the modern world, our focus is turning towards the environment and the creation of a sustainable future. Energy is embedded into the heart of Engineering and the Environment, from improving the performance of the shipping industry to generating sustainable energy from household waste. Staff from these disciplines contribute extensively to our Undergraduate courses in Civil, Environmental and Maritime Engineering, as well as our specialist MSc courses in ‘Energy and Sustainability', ‘Environmental Pollution Control' and ‘Sustainable Energy Technologies'. Areas of research expertise are focussed through the two main energy research groups within the Faculty. The ‘Energy and Climate Change Group', led by Professor Bahaj, are specialists in the fields of: Solar Photovoltaics, Tidal Energy, Wave Energy, Energy Management in the Built Environment, Microgeneration Technologies, Climate Change, Hydropower and Pollution Control. The ‘Energy Technology Group', led by Professor Andrew Cruden delivers cutting edge research into the technological advancements required to support the increasing range of energy sources available. The Water and Environmental Engineering Group led by Professor Banks undertakes a wide range of research which includes: the use of waste and purpose grown biomass for biochemical conversion to energy; the engineering design of algal cultivation systems; and low head hydropower generation. Research is conducted through eight world class laboratories that cover a wide range of mainstream and traditional areas. These are: thermal energy, electrochemical engineering, solar energy, maritime energy, electromechanical energy, materials for energy, energy management and control, Environmental Biotechnology and the institute of cryogenics. The work is further supported by three university run research centres; the ‘Sustainable Energy Research Group' the ‘Centre for Coastal Processes, Engineering and Management' and the Bioenergy and Organic Resources Research Group. Consultancy is provided primarily through the Research Institute for Industry. RIfI is a cutting edge consultancy and applied research organisation able to support and collaborate with industry in the specialist fields of the Energy research groups. A fully instrumented and configurable building integrated moncrystalline PV array of 7.2 kWp covering the south facade of Building 2 at the University of Southampton. 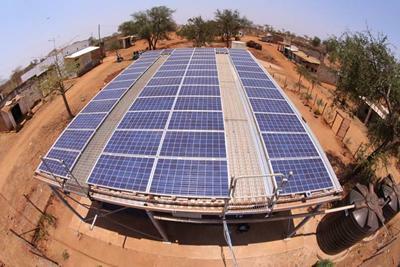 Facility for studies on multiple grid connected central and string inverters for analysis of mismatch losses in PV arrays including a range of inverters from 700 W to 5 kW. Semi-transparent PV laminates in an array of 12.5 kWp on the atrium of the Professional Services Building at the University of Southampton. A 460 Wp, grid connected, fully instrumented and configurable roof tile mono-crystalline array. A range of measuring systems available for testing reliability and performance of stand-alone photovoltaic systems. Test facade for performance analysis of light directing Holographic Optical Elements (HOE) elements. Life time testing rig for electrical reliability of connectors, including PV connectors. 8m and 12.5m wave flumes with glass sides and floor, wavemakers with active absorption. 21m and 14m tilting open channels, both with provision for studying sediment transport. Developed testing procedures and modelling systems for Marine Current Energy Converters. Prototypes of Marine Current Energy Converters. Various simulation tools for photovoltaic and solar thermal analysis as well as for system design. These tools are used to analyse PV performance. 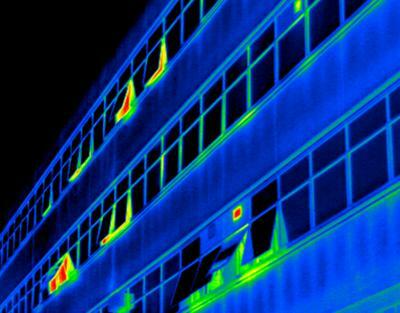 Simulation tools for investigating thermal performance and lighting aspects in the built environment. Performance and power simulation facilities for Marine Current Energy Converters. Computer based modelling system of tidal currents. In house micro-wind assessment tool. High resolution thermal imaging equipment. Equipment for assessing indoor lighting performance. High speed velocity and turbulence measurement equipment for use in circulation water tanks. Various environmental data analysis and data logging systems for the assessment of the indoor environment in buildings. Tool compiled in house for generating UK climate change weather files for building performance simulation programs. Tool compiled in house for generating world-wide climate change weather files for building performance simulation programs. The environmental biotechnology labs have an extensive range of anaerobic digestion plant up to pilot scale and fermentation and downstream process equipment for renewable biofuels production. For further information on the facilities owned by Engineering and the Environment please see the ‘Facilities' webpage.